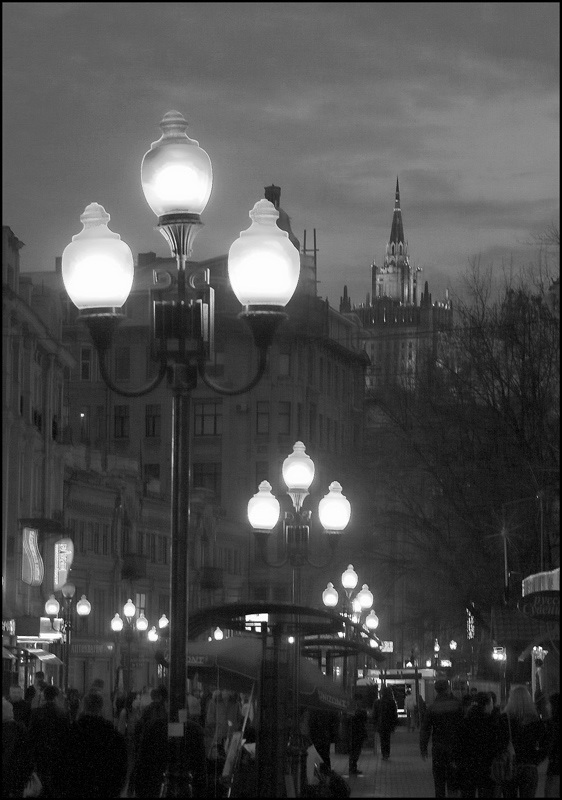 Photo "Walking Down THe Old Arbat"
like two photos in one. that sky and building and the crowded street in lights.. but it works really well.. i mean, i like so much the whole image! Great light, wonderful nocturne view in bW!